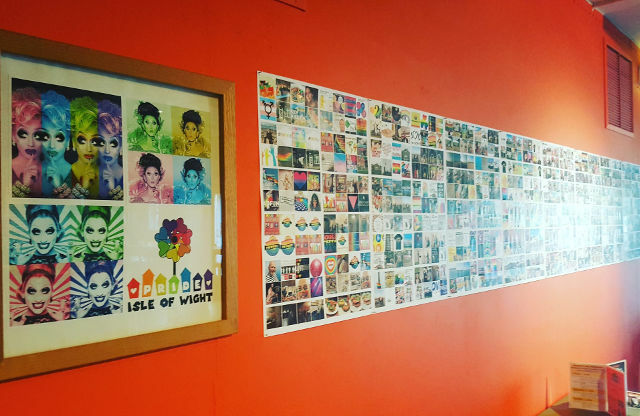 Quay Arts is bursting to full with fabulous artwork as part of Isle of Wight and UK Pride. Downstairs and up have some great pieces of artwork on display until 24th July, including the Winter Pride national competition winners. The Isle of Wight Pride, UKPRIDE Arts Festival launched in style on Friday 15th June with a Private View at Quay Arts in Newport. 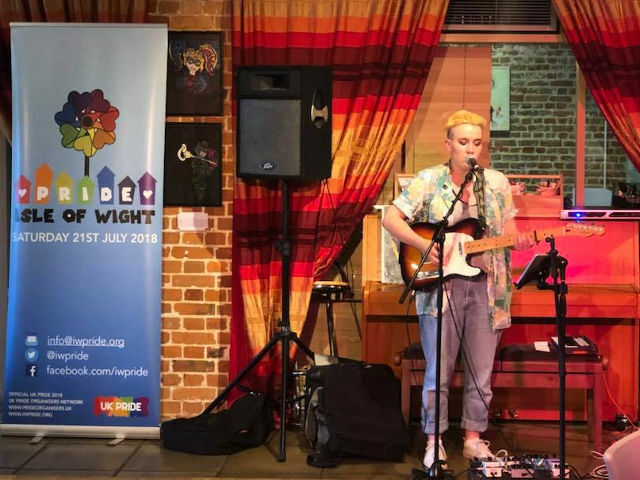 Guests at the event were treated to a dazzling performance by ‘This, May, Them’, a non-binary musician who will be returning to perform at Pride on the 21st July. This was followed by a presentation of certificates to young artists who assisted Pride artist Donna Jones MBE in the making of a gigantic Rainbow Hat, and the opportunity to encounter for the first time the fascinating group of art exhibits which will be displayed at Quay Arts until 24th July. “There are three distinct sections to the Quay Arts Pride Arts Festival – the Cafe gallery area is displaying mood boards created by Ellie Moore showing all the planning behind the site art decorations being created by community volunteers for the 21st July main event. “There is also a visual timeline showing two years of activity through social media images since IW Pride started. The downstairs Seminar Room is hosting the finalists and winner of the fantastic touring Winter Pride exhibition ‘Beyond the Binaries’. 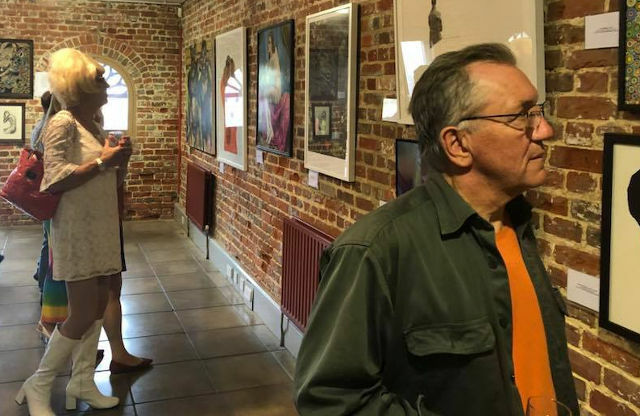 “The Clayden Gallery upstairs displays a diverse range of artworks from LGBT+ artists across the Island curated by Karl Stedman. “When I was asked to get involved with Pride I felt that as an artist the best way for me to participate would be to organize an exhibition to celebrate the work of professional artists on the Island who identify as LGBTQ. “Much of the work has not been exhibited before and many pieces have been produced especially for this exhibition. The winner from the Winter Pride exhibition, Sam Wingate, travelled down to the Island for the launch event on Friday and was blown away by the high calibre of art on show. Sam’swinning piece of artwork, entitled “Grindr Quilt” is hung in the Clayden Gallery. 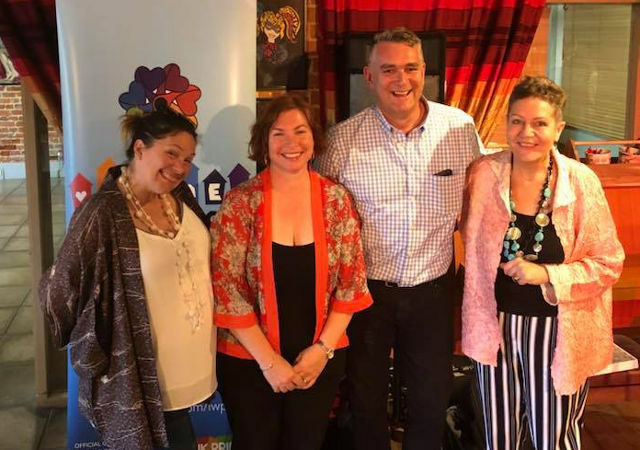 Simon Tarrant from Winter Pride said “Winter Pride’s latest art competition was inspired by the 50th anniversary celebrations of the 1967 Sexual Offences Act that decriminalised homosexuality. “Responding to our theme ‘Beyond the Binaries’ we received over 700 entries from around the world and 17 finalists were selected. You can follow the artist blogs from Winter Pride as well as Isle of Wight Pride through the Website. 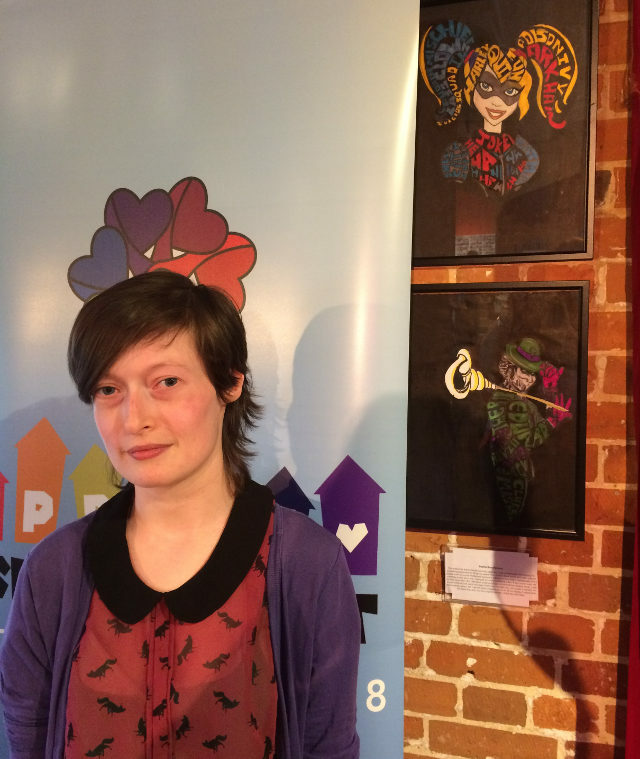 The Pride Arts Festival will run at Quay Arts until 24th July and entry is free. Donations towards IWPride are welcome and many of the pieces of art are available to purchase. 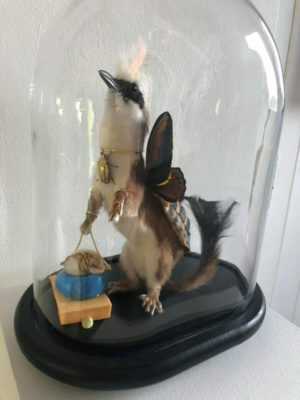 The Winter Pride exhibition is touring outside of London for the first time ever and will remain at Quay arts for the duration of the Pride Arts Festival. 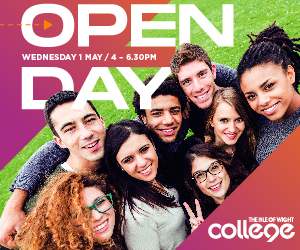 Ongoing events will be taking place during the IWPride Arts Festival, including theatre and opera productions; ‘Priscilla Queen of the Desert’ at Medina Theatre; and a fabulous LGBT photography project called ‘See Me’ at East Cowes, tutored by wet plate collodion process specialist, John Brewer and Pride artist Julie Wright. There will also be lots of opportunities for people to get involved in creating site art for the IWPride site out of recycled materials with Ellie Moore. Follow the IWPride Facebook page for details of how you can get involved in the IWPride Arts Festival events.